Join Our Team We want to hear from you! 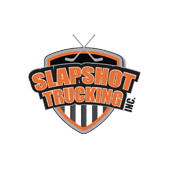 Slapshot Trucking is an independently owned and operated company based in Ajax serving all of the province of Ontario. We have been in business since 1986 and have logged millions of accident free kilometers and possess a clean CVOR record. Our fleet consists of cube vans, several 5 ton straight trucks (some with tailgates), over 20 tractor power units, including day cabs and highway trucks and over 60 trailers including 48’ and 53’ tandem and tridem axle vans, as well as flat beds. You will find that at Slapshot Trucking our drivers understand that when we are carrying your freight, our performance is a direct reflection on your company and we will make every effort to ensure your product arrives safely when promised. Whenever you require a professional, courteous, competitive carrier give Slapshot Trucking a call.